There was always something about grass ever since we were children. …Something that feels close to you and safe when you are around them.We felt that “something” every time. 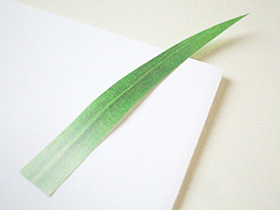 One day, we had an idea to integrate grass into stationery. 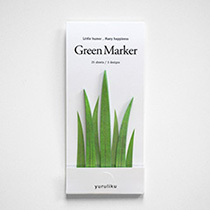 We hope GreenMarker grows naturally like a blossoming tuft of grass. 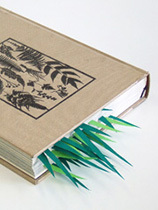 We were always aware and did not like the way how sticky notes crumple as we use them. 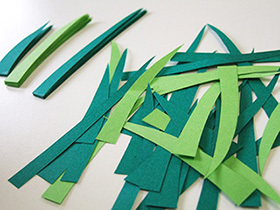 When the image of accumulating sticky notes and growing tuft of grass overlapped, an idea came in mind. We started from searching shapes of grass. Short ones, long ones, bright-colored ones…we tried many variations. We actually placed them between pages to see how they will work. 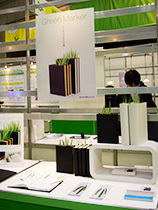 Applied and passed the final design selection for the Tokyo Design Market 2009 where companies meet designers with commercialization goals. Shapes and sizes were a continuing process of trial and error. We eventually chose tracing paper for the sample material after trying with different papers and films. 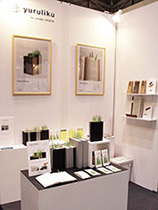 We presented our design proposal at Tokyo Design Market 2009 held in Tokyo Big Sight. There, we had many meetings, and production began to take shape. 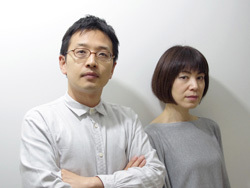 We decided to self-produce our product. Designing, manufacturing, registering and all those piles of business were happening simultaneously. With extensive advice we succeeded in negotiating directly with sticky note manufacturers. 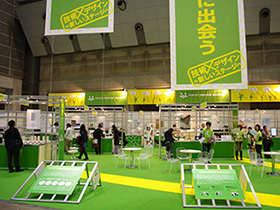 Finally, we gained full cooperation from the pioneer company known for their post-it®, 3M Company. 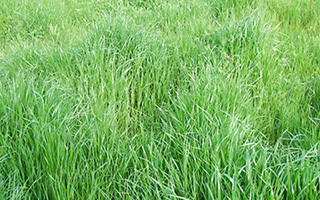 We gathered a variety of grass to add more realistic taste to the design. With these references, we adjusted the details while evaluating the difficulty in manufacturing. 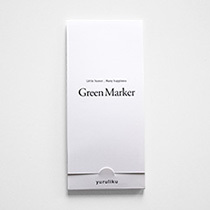 With the marker’s design almost finalized, we started to work on the package. 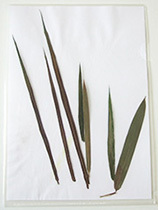 We made samples with varied designs and provided further analysis. -	the page markers must be visible. -	markers must be shield. -	package that is useful. -	package that is stylish when displayed. 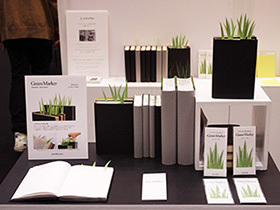 Presented as “Active Creators” at the Gift Show 2010 Spring, exhibited through February 2 to February 5, 2010.